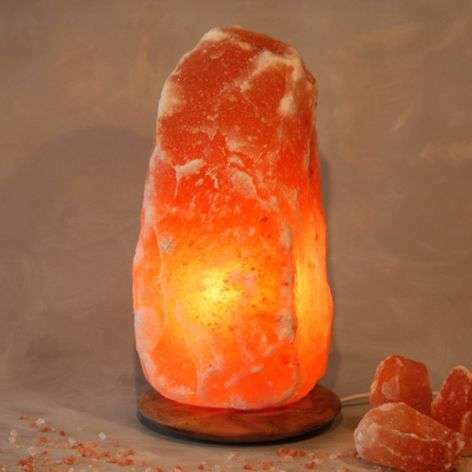 This impressive salt lamp is about 40 cm high. 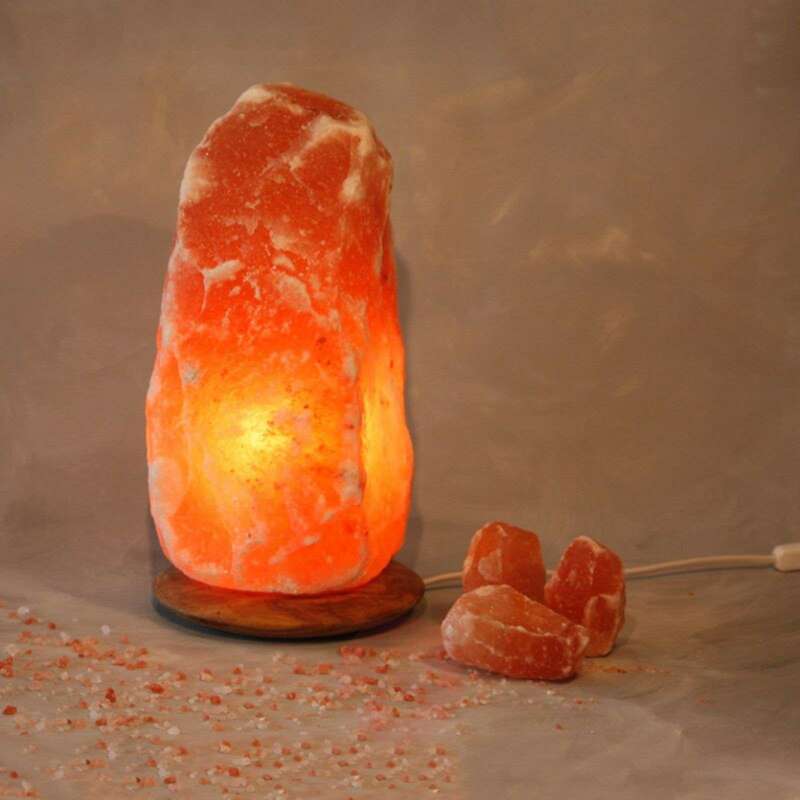 Because the light bulb sits inside the salt crystal, the table lamp gives of a beautiful flow. The warm colours and the natural material contribute to a homey ambience. The crystal salt of the ROCK salt lamp comes from the region Punjab. Each piece is unique, the size may vary slightly.